n a recent thrift shopping expedition, I picked up a mid-century AK Kaiser Germany porcelain vase designed by Manfred Frey, and proceeded to race home to find out more about its value. I was pleasantly surprised to find that it had value way beyond what I paid for it and a rich history too. 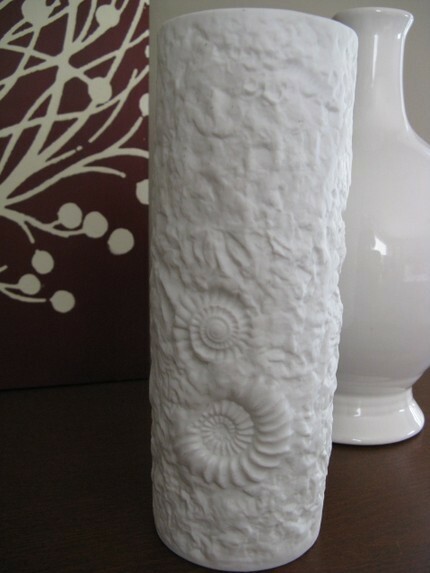 Here’s what I found out from a couple of websites: The End of History, a blog from a Manhattan store specializing in mid century decorative accessories and Apartment Therapy, one of my favorite design websites: Designed by Manfred Frey circa 1970 for the West German company Kaiser Porcelain, this vintage vase has the odd and intricate pattern of Ammonite fossils in detailed relief. 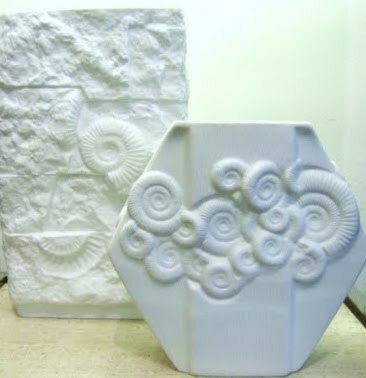 The vase is glazed only on the inside to hold water while still retaining the outside bisque finish. 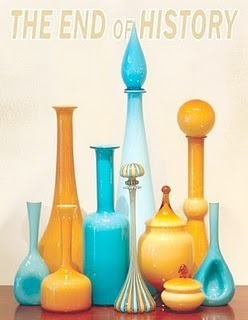 AK Kaiser Germany vases designed by M. Frey have been featured in the TV series Madmen. Photos are: my vase, similar vases being sold in Manhattan for outrageous prices, and a vignette from that Manhattan store. 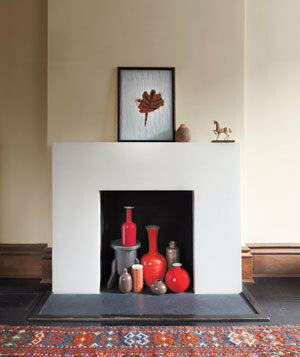 Thrown in for good measure: a fireplace filled with mid century vases. Divine.